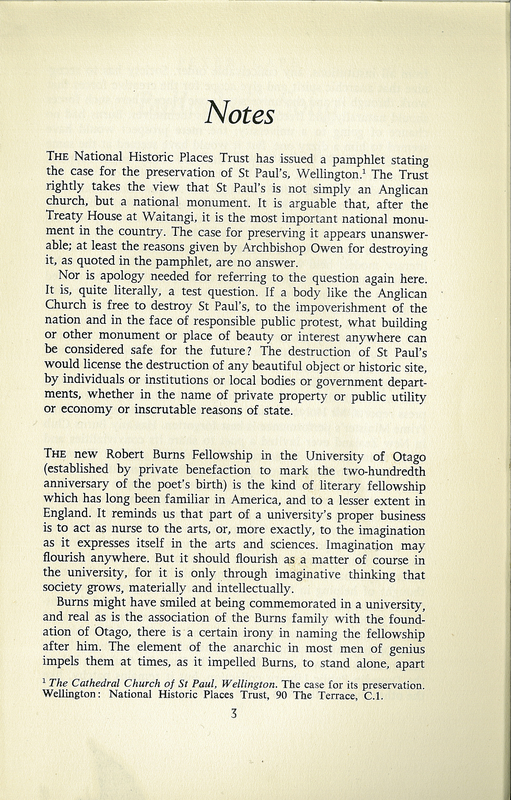 In 1958, the Robert Burns Fellowship was established by a group of anonymous Dunedin citizens, Charles Brasch certainly among them. It is a tangible commemoration of the great Bard and the Burns Family’s involvement in the European settlement of Dunedin in 1848. Here is Brasch's note in Landfall about the establishment of the Fellowship. Edited by Charles Brasch, “Landfall. A New Zealand Quarterly. Vol. 13, no. 1,” ourheritage.ac.nz | OUR Heritage, accessed April 26, 2019, http://ourheritage.ac.nz/items/show/10914.